Now Accepting Applications For A Lifetime Of Opportunity. Once step three is completed, the student is officially enrolled. Upon notification of that the application was received, parents will complete and submit the registration forms, which are available below in the registration section or at the school office. Completed registration forms should be submitted or mailed to the Notre Dame Academy Administration office as soon as possible, along with a non-refundable registration fee indicated in the registration forms. For more application information please see the Application Process document. To be admitted, the student and his/her parent must subscribe to the school philosophy and agree to abide by the educational policies and regulations of Notre Dame Academy (NDA) and the Diocese of San Diego. Admittance is under the discretion of Administration on an individual basis. Development readiness is determined, by the school, using standardized screening processes. In an effort to promote cultural awareness and diversity, we accept international students in grades K-8 that have English proficiency at their grade level. Returning students of families and their siblings, provided all tuition and fees from the previous year have been paid. At Notre Dame Academy, our tuition is a result of the goal we have for your child – to have a dynamic Catholic education. Our Staff consists of highly motivated credentialed teachers, providing each student with 21st century readiness in conjunction with Catholic values. We map our Curriculum to allow for the high achievement of all students through a variety of instructional methodologies by using state and diocesan standards to guide our core curricula decisions as well as adding in foreign language, music, art and STEAM classes. As a critical component of our education program, our Technology is continually updated to keep up with today’s latest innovation. Our tuition covers the high standards and goals we have set for your children. We provide an all-inclusive education and work with you to pick the best payment option. Choose one of three available payment plans. For Tuition Rates and Prices Download the Tuition Information PDF. Full payment due on or before the first Monday in July. A 2% discount may be taken, if paid by the first Monday in July, by check, money order, or cashier’s check. No discount is offered on credit card payments – Visa and MasterCard accepted. 1st payment due on or before the first Monday in July; Visa and MasterCard accepted. 2nd payment due on or before the first Monday in January; Visa and MasterCard accepted. 1st payment on July 1, 2018 with two (2) payments due; payments are made using FACTS Management Company. Continuous monthly payment due each month August – March. Please click below to set up payment plan or to apply for financial aid. Notre Dame Academy’s OLP-TAF has limited funds available to assist families in need of financial assistance for tuition. The OLP-TAF Committee will grant awards after careful review of all applications. Confidential financial documents, such as tax returns, will be submitted for review by FACTS, a third party not related to the OLP-TAF, the school, the parish, or the immediate community. A small number of awards will be made for each school year. Members of St. Therese of Carmel Parish. No student shall be given a full tuition grant. NDA expects some contribution from the student’s family. This tuition assistance is for existing students or prospective students who have been accepted for admission to NDA. Tuition assistance is granted for basic tuition only. Preschool or Kinder Prep students are not eligible for tuition assistance. Note: Families who have received tuition assistance in previous years are not guaranteed continued funds, nor are given any preference. A new application must be submitted every year. Once all criteria have been met, please request information on the application process at the school’s offices. We are pleased to offer Grant & Aid Financial Needs Assessment through FACTS. The Diocese of San Diego has a rich tradition of educating the next generation of Catholics in our local parishes and schools. We are the largest private school system encompassing 49 schools in two counties, San Diego and Imperial, and impacting the lives of approximately 17,000 children in our elementary and high schools. The potential for growing our impact is unparalleled in this region, and that is why supporting Catholic education is vital to building the future of our local Church. 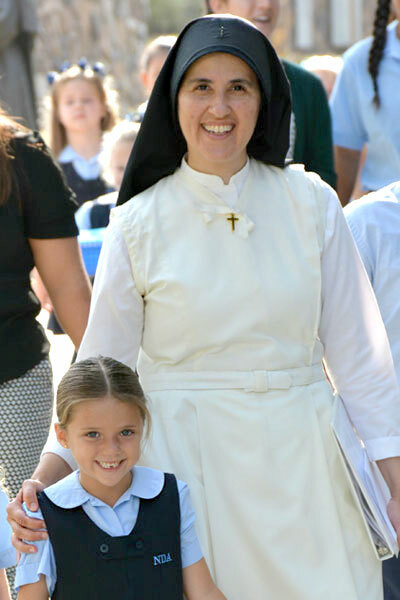 Beginning in the 2015-2016 school year, the diocese is very pleased to announce that it will be launching the Bishop Flores Scholars Tuition Assistance Program to provide annual K-12 tuition assistance totaling $1,000,000.00 for children in need to attend Catholic schools in the Diocese of San Diego. We believe that Catholic education should be both affordable and accessible to every child and family who desires it regardless of their background, neighborhood, family income, or culture. Our mission is to develop sustainable financial partnerships with low and middle-income families who are invested in Catholic Education. These partnerships are critical to the success of our Catholic schools, and without them, we will not be viable. 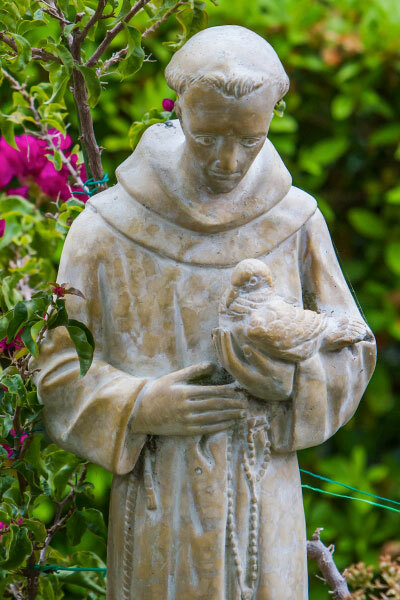 In addition to providing a quality Catholic education for San Diego and Imperial County children, our schools provide a character formation education where children are instilled with Catholic values, so that one-day they may contribute to society as globally aware and productive citizens. For information on eligibility, deadlines, applicant qualifications, award distributions, costs, recipient responsibilities and other facts, please visit the Bishop Flores Scholars Tuition Assistance Program website at bishopfloresscholars.org. You will be notified if/when your application is approved, at which point, you should complete all registration forms for submission to the Notre Dame Academy Administration Office as soon as possible. Upon review and acceptance of the student’s application, the second step of the admissions process begins, Registration. Parents will complete and submit the registration forms, available by clicking the form links below. Open and print out each form. If you are unable to print, pick up a registration packet from the Notre Dame Academy Administration Office.